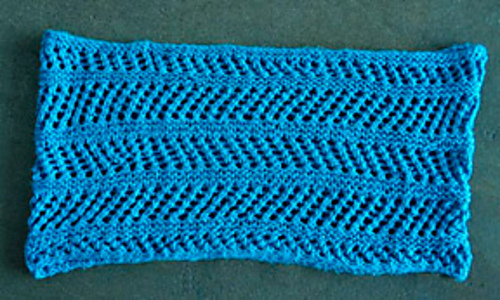 This cowl features bands of biased eyelet ribbing alternating with bands of garter stitch. Panda Pearl has beautiful drape and sheen and is very soft. 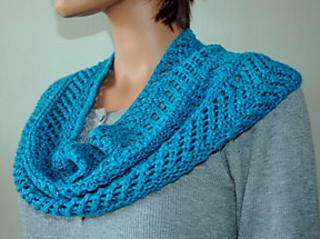 This is a comfy and elegant neck accessory.